Compressible sleeves have an outside cushion layer. By making use of compressible sleeves you create more standardization, more constant print quality and a reduction of your tape costs of 30%. This special outer layer is made out of cellular, water crossed-linked foamed polyurethane. The soft, cushion layer can be offered in different kind of densities: 40, 50 and 60 Shore hardness. The use of soft sleeves reduce bouncing. Also soft sleeves create standardization in the printing process. Due to better tolerance it is possible to have higher print speeds and pressure. The tolerance of compressible sleeves with plate is 7.5% better than a regular sleeve with plate and cushion tape. 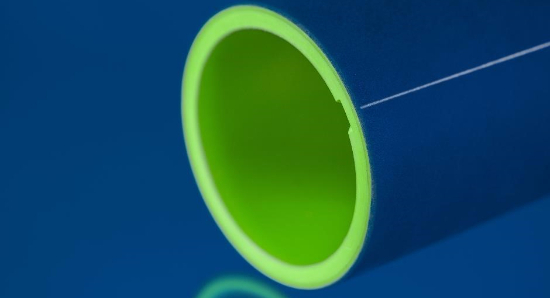 With this compressible layer you use non-compressible thin tape whichsaves up to 30% costs. It is also possible to store sleeves with plates mounted on it, without reducing the compressibility! Why use compressible plate sleeves?